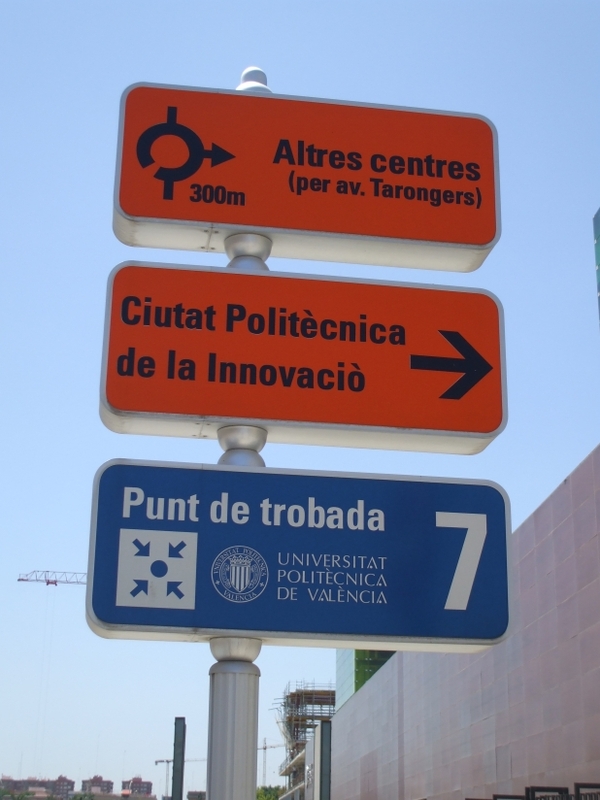 Getting to the Polytechnic University of Valencia. Valencia Airport is located in the nearby town of Manises, about 8 km away from the city. Flights arriving from major Spanish and European cities land there. 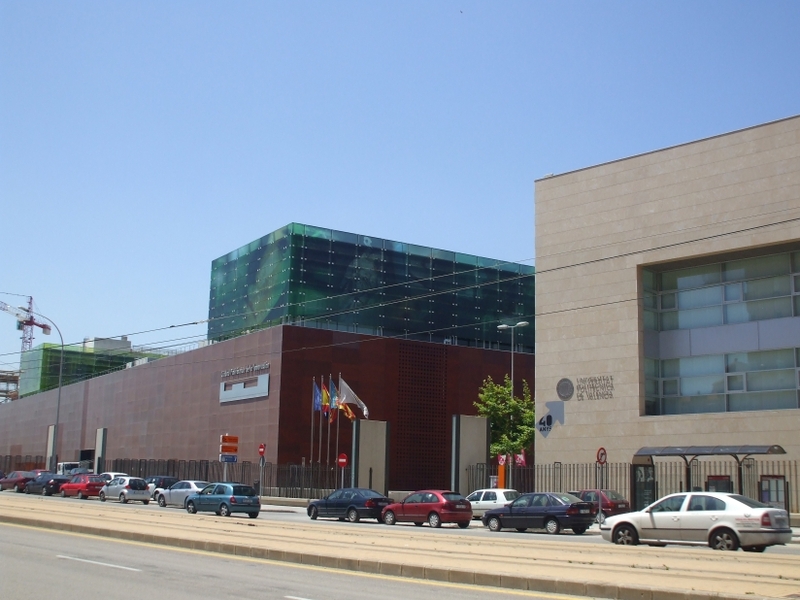 Furthermore, Valencia connects with destinations all over the world through Madrid and Barcelona. For more information, call the following number: +34 961 59 85 00. From the airport you can take a taxi or a bus. By taxi. You can take a taxi from Manises to the University; the journey takes about 25 minutes and costs about 16-20 euros (the taxi journeys that start at the airport are always more expensive because they include an excess fare of 3,50 euros). By bus. There are cheaper possibilities: at the airport you can take a Fernanbús bus. There are two lines that do this journey: line 150 goes to the bus station (the fare is 1,20 euros) and line 152 -known as the aerobus- goes to Calle Bailén (the fare is 2,50 euros). Both buses have different timetables and they do not take the same time in reaching their respective destinations. Line 150 has bus stops along Avenida del Cid, Calle Linares, Calle Ángel Guimerá and Avenida de Fernando el Católico. On the other hand, the aerobus goes past every 20 minutes and does a more direct journey. It only has two stops (on Avenida del Cid and on Calle de Àngel Guimerà) before reaching its final destination at Calle Bailén. For more information, click here. Underground. There are two underground lines which link the airport, the city centre and the port.. Take line 3 (towards Rafelbunyol or Palmaret), get off at the 15th stop (Benimaclet) and transfer to line 4 (towards Doctor Lluch). The second stop leaves you at the UPV entrance. A single ticket may seem a bit expensive: 1,80 euros. For more information on underground stations, timetables and fares, click here. From the Estación del Norte train station you can take a taxi, a bus or the underground. By taxi. It will cost you about 8-10 euros to get to the University. By bus. If you prefer to take a bus, there is a bus stop 100 metres away. It is located on your right hand side (Calle de Alicante). Take bus No. 40 towards the UPV. The ticket costs 1,20 euros, even though you can buy cheaper bus passes at any tobacconist's shop. The journey takes about 20 minutes. For more information on bus No. 40's itinerary and other possible options, click here. Underground. The Xàtiva underground station entrance is in front of the train station main entrance. Take line 3 (towards Rafelbunyol), get off at the 4th stop (Benimaclet) and transfer to line 4 (towards Doctor Lluch). The second stop leaves you at the UPV entrance. A single ticket may seem a bit expensive: 1,30 euros. For more information on underground stations, timetables and fares, click here. The coaches that connect towns in the Valencian Community with other Spanish towns and cities usually terminate at the bus station, located to the North of the city. To see the routes, timetables and destinations click here. 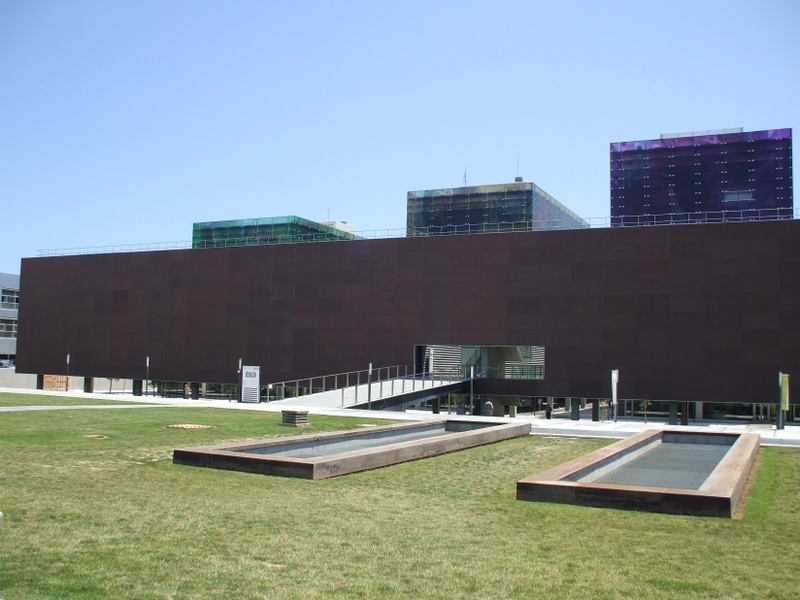 Once you are at the bus station, you can take a taxi, a bus or the underground to get to the Vera Campus of Polytechnic University of Valencia. By bus At the nearby Calle de Ricardo Micó there is a bus stop: take bus No. 29 towards the UPV. In about half an hour you will be at the University. The ticket costs 1,10 euros, even though you can buy cheaper bus passes at any tobacconist's shop. For more information on bus No. 29's itinerary and other options, click here. Underground Coming on the underground may be a little more complicated: you will have to combine up to three different underground lines. 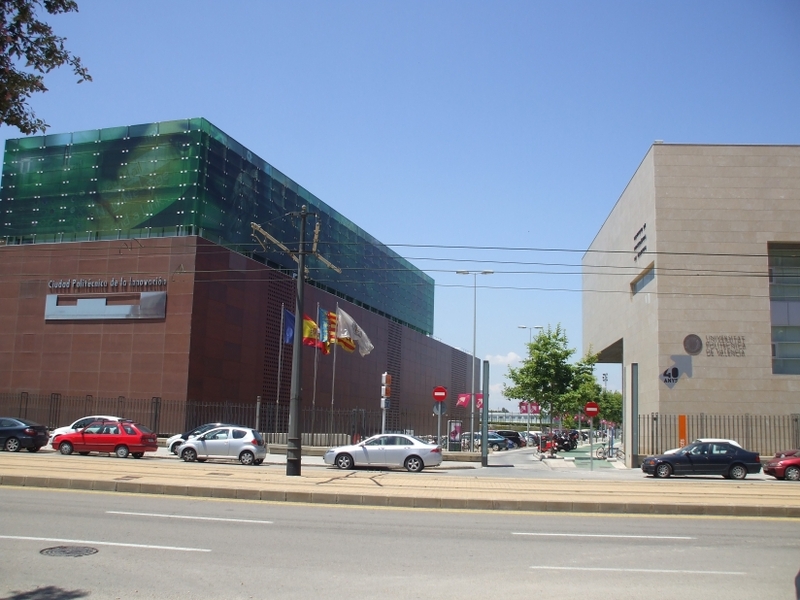 To start with, you must go the Nuevo Centro shopping centre, where the Turia underground station entrance is. Take line 1 (towards plaza de España). Get off at the Ángel Guimerá stop and transfer to line 3 (towards Rafelbunyol). Five stops afterwards, at Benimaclet, you can connect with line 4 (towards Doctor LLuch). The second stop leaves you at the UPV entrance. This stop is called Tarongers. A single ticket costs 1,20 euros. For more information on underground stations, timetables and fares, click here. The AP-7 motorway runs down the east coast of Spain connecting Valencia to the main European motorway network and to A-23 Sagunto-Somport and the A-3 Madrid-Valencia dual carriageway. Getting 8G Building or CPI Building. 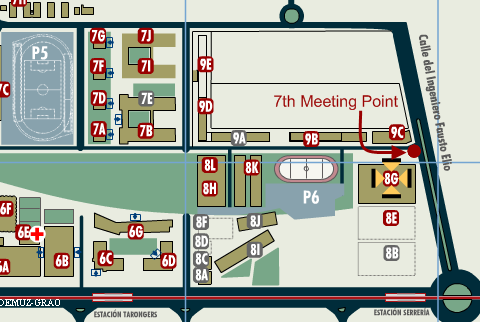 7th Meeting Point is the closest campus entrance to get 8G Building. Next figure show where are they placed. 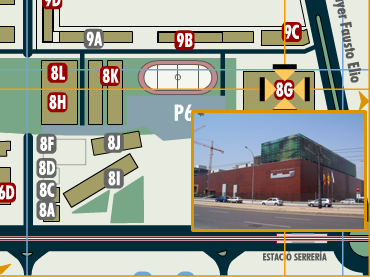 This meeting point is in the street "Ingeniero Fausto Elio" 200 metres from the Serreria station of the line 4 subway. 2 photos showing the entrance and the 7th meeting point. The conference takes place at the third floor of the 8th building. The following photos show you the building. There are two accesses to the conference room. In order to access through the entrance close to the street "Ingeniero Fausto Elio" visit the following link and in order to access from inside the campus visit the following link. View of 8G building inside the campus. View of 8G building from the street "Ingeniero Fausto Elio".